ravellers can take the elevator to reach the observation deck. On a clear day, the view can span across the entire Klang View, as far as Subang Jaya and Klang located more than 50km away. For those looking to surprise their loved ones or just looking for a dining experience, then the revolving restaurant is a must. Located below the observation deck, it offers a wide range of buffet, dinner entrees and hightea. It is open daily from 11:30 am to 2:30 pm for lunch and 7:00 pm to 11:00 pm for dinner. Located on top of Bukit Nanas Forest Reserve, the KL Tower is the only tower located within a forest, giving travellers a unique opportunity to trek one of the oldest forest reserves in Malaysia. Although the main objective of KL Tower is to improve communication and broadcasting transmission, it has become an important national landmark. 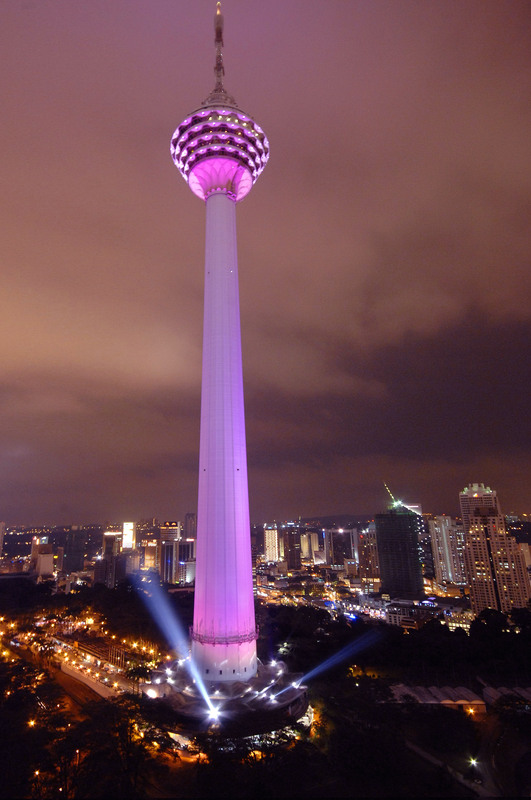 Travellers visiting Kuala Lumpur have said that the journey is not complete unless he/she has climbed the KL Tower.